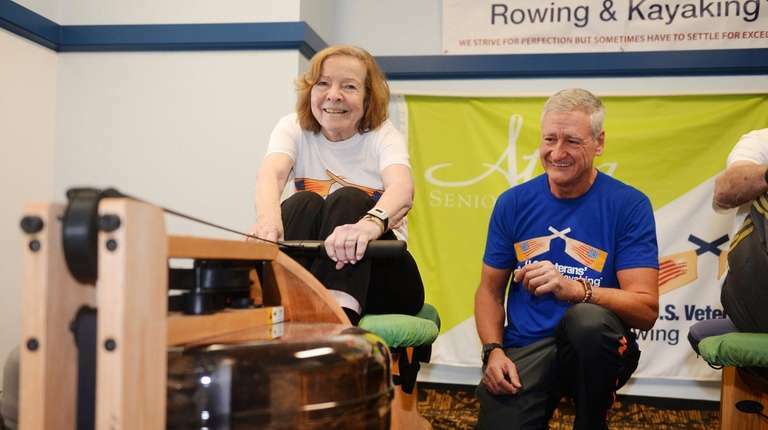 At the World Record Challenge on Nov. 3 at Atria East Northport and Roslyn on the Harbor, 26 competitors - ranging in age from 78 to 102 - will be vying to set world records in indoor rowing in their age categories. 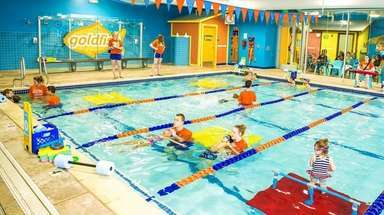 What began seven months ago as an endeavor to get the residents at Atria Senior Living’s Long Island communities active through indoor water rowing has turned into a quest to set world records. 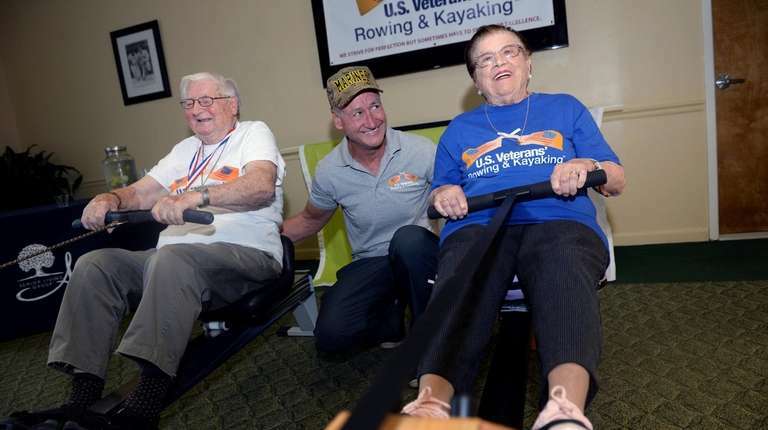 “The program just blossomed; it’s amazing,” said national program services director Paul-Stephen Varszegi, of U.S. Veterans' Rowing and Kayaking Foundation, a Trumbull, Connecticut-based nonprofit group that aims to rehabilitate wounded veterans. Two and a half years ago, he and Becky Gallucci, Atria’s divisional Engage Life innovation director, introduced rowing to the Darien, Connecticut, community. 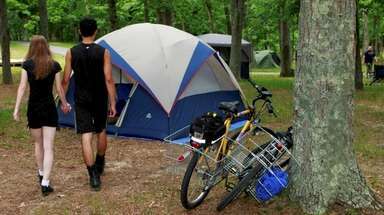 Since then, the program, which was initially intended for Atria veterans and their spouses, has been opened to all residents and expanded to Long Island and to two Westchester communities. 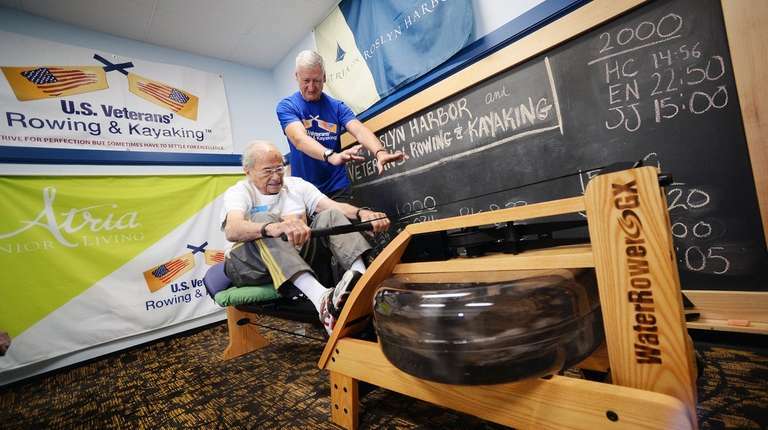 At the World Record Challenge on Nov. 3 at Atria East Northport and Roslyn on the Harbor, 26 competitors — ranging in age from 78 to 102 — will be vying to set world records in indoor rowing in their age categories and are poised to make history. 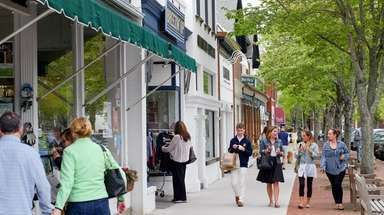 The competitors, who make up Atria Team Long Island, are residents of six Atria Long Island communities. On any given weekday, these seniors can be found training to be the best in the world. 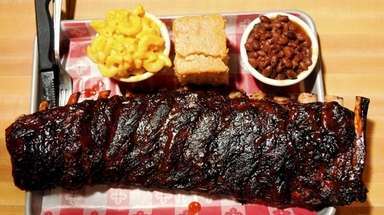 And in the process, experts say, they are reducing their risk of falling and developing — or worsening — diseases. Since the program was launched, 12 rowers — one of whom is 103 — from Atria Darien and Westchester have broken a combined 25 American and world records. At the Atria on Roslyn Harbor, four days a week at 1:30 p.m., Ellen Notaro takes her place on the indoor water rower, a training machine that uses a water tank to create resistance. The former Manhasset resident and grandmother of four who lived in Boynton Beach, Florida, before moving to the senior community three years ago, is training to beat her personal best of 5,000 meters, a distance that typically takes her about 45 minutes to complete. 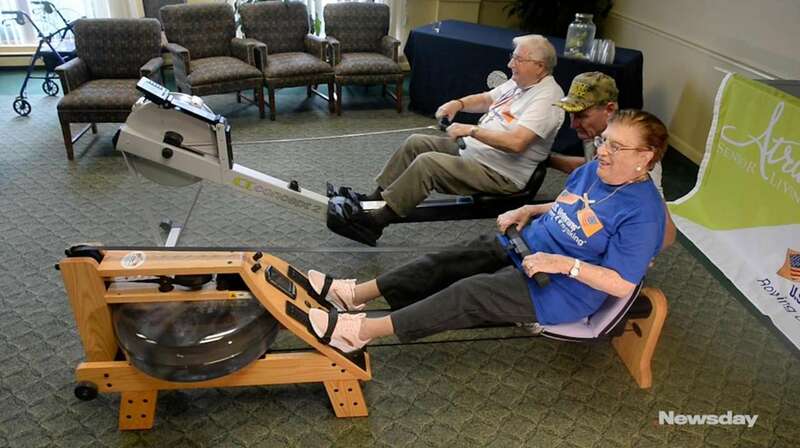 Fernand Neuenschwander, a resident at Atria South Setauket, is not one to shy away from the rower. The 87-year-old, a self-confessed “competitor at heart” who “enjoys winning,” has already garnered a silver medal in a 500-meter “in-house” competition at Atria held for 40 rowers in May. Since the great-grandfather and retired tool designer has been training, he said he is “more alert” and hoping to one day walk without his cane. At the World Record Challenge, some residents on Olympic rowing machines will cover distances of 100, 500, 1,000, 2,000 and 5,000 meters. 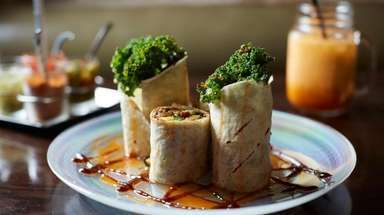 Other rowers will stress speed and compete in 1-, 4-, 30- and 60-minute sprints in female and male and lightweight and heavyweight categories. “I always hear him asking the residents,” Meagan Devine-Collazo, senior engage life director, said with a laugh. Coach Varszegi said Atria rowers in Darien and Westchester have reshaped the record books for competitors ages 80 to 103. “And the majority of our Long Island athletes will set records this Saturday,” he predicted. “I like hearing the water when I row,” said Hartt, referring to the splashing sounds of her water rower and the virtual rowing she watches on a nearby video screen. As the rowers put the final touches to their training, Atria’s’ Gallucci has her sights set on partnering with a Long Island rowing club next spring so that residents will be able to row on the water. WHEN | WHERE Nov. 3, Atria East Northport, 10 Cheshire Pl., East Northport at 10:30 a.m. and Atria Roslyn Harbor, 100 Landing Rd., Roslyn, at 3:30 p.m.